My days here in paradise are coming to an end. I only have 1 month and 9 days left and I'll be bidding the Rainbow State goodbye. Except for a few necessities which we've kept with us here in our temporary 'castle' in Honolulu, our things have already arrived in Florida, and are now being kept in storage, awaiting our arrival. Moving out-of-state can be very expensive, especially if you have a lot of heavy stuff (like furniture) and your point of destination is quite a distance from your point of origin (in our case, Hawai'i to Florida). Fortunately for us, our move is paid for by my husband's former employer. The need for storage is almost synonymous to moving. And when you think about storage, it always entail expenses. 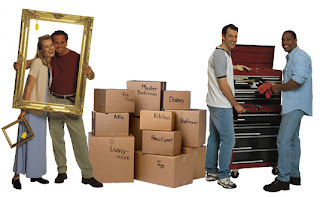 Nevertheless, there are affordable and convenient self storage options one can choose from.